We currently have three RV travel trailers that we offer a U-Tow option depending on your tow vehicle & experience towing. Or you can sit back relax and let us deliver, setup and take down your RV travel trailer in the Kamloops region & Shuswap area. All Vehicles towing our trailers must be a 2003 model or newer and be in good mechanical condition with a factory under mount class 3 hitch, brake controller & wiring installed as well as towing mirrors. 18.9Ft Towing Requirements this trailer must be towed by a 1/2 ton vehicle that can safely tow 6,000 Lbs or more with a factory installed hitch, brake controller and 7 pin round wiring hookups, A mandatory 2" Ball with hitch and sway bars will be included in your rental fee for $25. 16Ft Fun-finder Towing Requirements this trailer must be towed by a SUV or 1/2 ton vehicle that can safely tow 5,000 Lbs or more with a factory installed hitch, brake controller and 7 pin round wiring hookups, Please bring a 2" Ball And receiver upon pickup. ​Both of our fun finder travel trailers have brakes renter must have a brake controller installed in there tow vehicle prior to pickup. Dale and Michaela Haney or Little Adventures RV Rentals will not be held responsible for any motor or transmission failures, vehicle problems, towing fines or regulations due to towing any of our tent trailers or RV’s. If you are unsure of towing regulations or limitations for your vehicle please check your owners manual or check with your dealer. 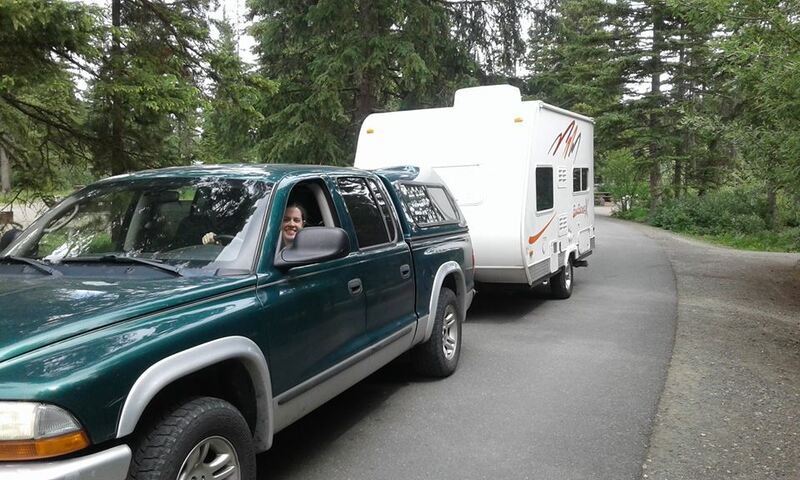 It is strongly advised to have a BCAA Plus RV Roadside Assistance Card in case of a possible breakdown of tow vehicle as Little Adventures RV Rentals will not be held liable for any towing fees back to Kamloops. ***Trailers Must Not Be Towed Off Road! 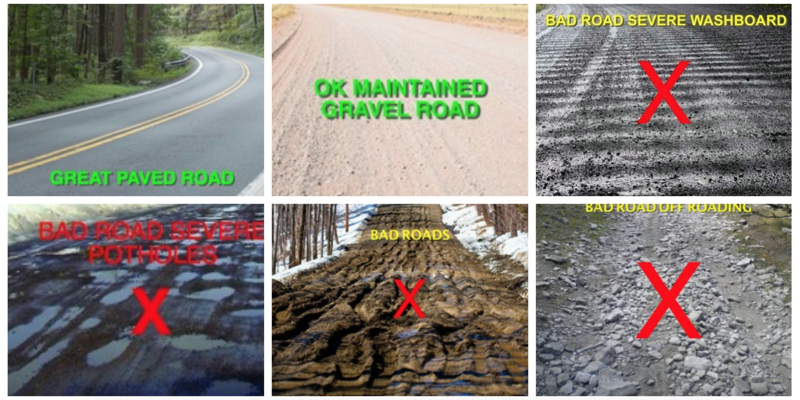 Or on poor roads please stick to government maintained roads. With a maximum of 25km driven on gravel roads Driving at a speed 55Km per hr or less. We will not be held liable for your vehicle not being able to tow due to clearance or non working lights at pickup. We also have the right to deny your tow vehicle if we believe damage may occur to our trailers. The photo examples below are clickable for better viewing. All of our trailers have this style of plug known as a 7 pin round. Attention! 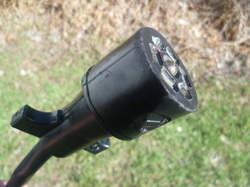 Please check your wiring on your vehicle before picking up your RV Rental! We have been getting a lot of customers showing up with non working trailer hookup lights. This is a big inconvenience for the renter as well as LittleRVrentals and our other customers. Starting 2015 if LittleRVrentals has to return to our storage lot more then once to attempt proper hookup a $20. Cash fee. will be applied to each occurrence. Also Return times to our storage lot may vary due to our schedule. Please, Please, Please Check your wiring! Left Signal, Right Signal, Brake And Running Lights must all be working at the hitch hookup. There are signal testers that can be purchased at Princess Auto, Canadian Tire Or Auto Parts Stores that will plug right into your hitch light hookup. See photo below for example. Please View Video Below Showing How To Check Your Trailer Wiring Hookups. Call Our friends at Knowles Exhaust in Kamloops they will hook you up with the right hitch at the best deal.